The Festival Season is upon us. LET’S GET FESTIVE! Over the years the Inferno Nightclub has been host to a wide variety of memorable shows and events and was one of the very few dance clubs that Madison offers. But all that is history now. A new building owner plans to level it and rebuild something in that space and the one next to it. However, I was lucky enough to have one last memorable moment in the club a couple days before they closed their doors forever. On that fateful eve, I was lucky enough to catch the hi-jinks of Spaklefuck, which only primed the room for the typically over the top set by Madison’s own Lord of the Trident. Metal anthem after metal anthem was mated with crazy (and cheesy) props ranging from a plastic mace to pirate flags to confetti cannon and sparkle sword, ultimately whirling the crowd into a frothing frenzy. Kooky punk rock headliner’s Peelander Z gave us So Many Mike and Mad Tiger before launching to a tirade of wild audience participation, outlandish posturing, crowd surfing, zany antics and general acts of frolicsomeness. Entertainment to the max! What a great night! After struggling with crappy weather on days prior, the clouds finally cleared on May 30, the day The Opiuo Band played the Infrasound Festival at Black River Falls, WI. On the day prior, I attempted to catch Freddy Todd, Thriftworks, Bluetech, Androcell and others, but it’s just not fun to dance with a rain poncho on while slopping around in several inches of mud and muck. All this was behind me when The Opiuo Band took the stage and slapped the audience with their amazing electro funk breakdowns. They sounded great, they looked great and it WAS great! The following set by Tipper was also quite good, but lacked the energy of a full live band. And although I was simply too wiped out to actually go see psychedelic legends Ozric Tentacles play after Tipper, their beautiful songs sprinkled soothing etheric swirls and eddies of delight throughout the park, a fitting end to the main stage performers for the weekend and a wonderful aural palate cleanser after all the feedback and distortion heard most of the rest of the weekend when not within a couple hundred feet of a stage. 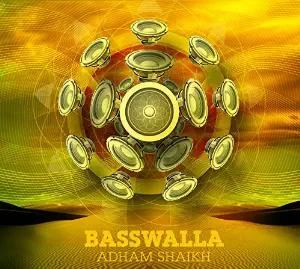 Pioneering work in the “global bass” style, Canadian musician Adham Shaikh’s Basswalla release culminates his 25-year dedication to creating and perpetuating the global fusion side of electronica. The suffix “-walla” indicates mastery in a particular discipline in India and so it is used here as an accent to his dedication as well as his return to his Indian roots. 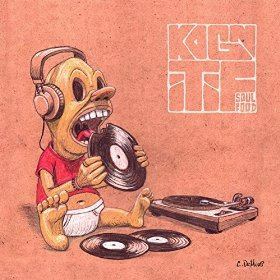 Traditional Indian rhythms and beats are spiced up with bass heavy electronica creating sensational palettes of saucy dance delectables to sample and savor.